The death of Oin Oakstar at the age of 43 was probably not a surprise to anyone familiar with the Arizona man’s drug-and-alcohol-fueled lifestyle. What surprises many, however, is where he died: In a homeless encampment under a freeway overpass in Everett, Wash., more than a thousand miles from Arivaca, his longtime home near the border. Police found Oakstar’s body on Wednesday in a tent near an area frequented by homeless people, on railroad property near Interstate 5. There were no obvious signs of how he died, though natural causes are suspected, and police say they are awaiting word on an autopsy, the Everett Herald reported. Oakstar lived for many years in Arivaca, where he worked for a number of drug-smuggling operations and avidly partook in the products he sold, as he later testified in Pima County Superior Court. It was also in Arivaca that, in 2009, Oakstar met Shawna Forde, a self-proclaimed leader of a “Minuteman” border-watch operation in the Sonoran desert— Forde, as it happens, grew up and lived in Everett at the time she became involved in the Minuteman movement. Forde, a 41-year-old former hairdresser and teen prostitute, who led a group of her “Minutemen”—aided by one of Oakstar’s employers, an Arivaca man named Albert Gaxiola—to the home of another local smuggler, a man named Raul “Junior” Flores, in the early-morning hours of May 30, 2009. There, Forde ordered her gunman, a Washington white supremacist named Jason Eugene Bush, to shoot Flores, his wife, Gina Gonzalez, and his 9-year-old daughter, Brisenia. Gonzalez survived, and, in a dramatic scene, eventually drove the invaders from her home with gunfire. Oakstar was arrested the next day by Pima County Sheriff’s Office detectives on suspicion of involvement in the murders. Based in part on information that Oakstar gave them, detectives were able to arrest Forde, Bush, and Gaxiola within two weeks of the killings. Oakstar’s testimony in 2011, describing the events leading up to the killings, also helped put all three of those suspects away. 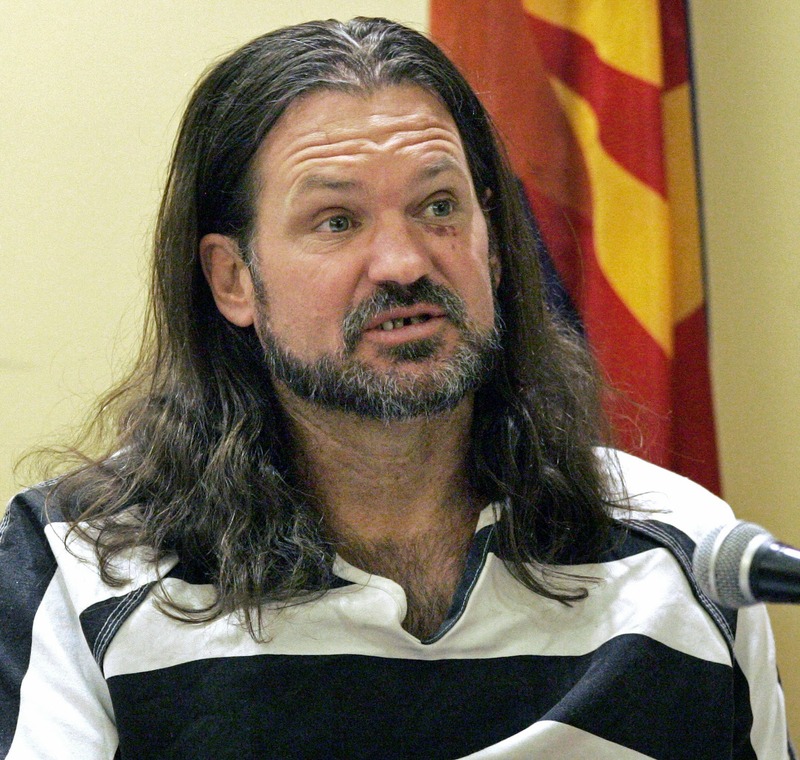 Forde and Bush are now on Arizona’s Death Row, and Gaxiola is serving a life sentence with no chance of parole. Oakstar, who had a long criminal history related to drug dealing, testified that he had driven Forde and her gang past the Flores’ home earlier in the day. But when they came by to pick him up at his home for the robbery, they found him incapacitated by alcohol. Oakstar said it was a way out, since he thought he smelled a setup in Forde’s invasion plan, and he wanted nothing to do with hitting a rival where his family lived. According to the Herald, Oakstar had been in the Pacific Northwest since at least this spring. He had been arrested in April 2014 by Seattle police for investigation for burglary and listed his address then as a Seattle homeless shelter.